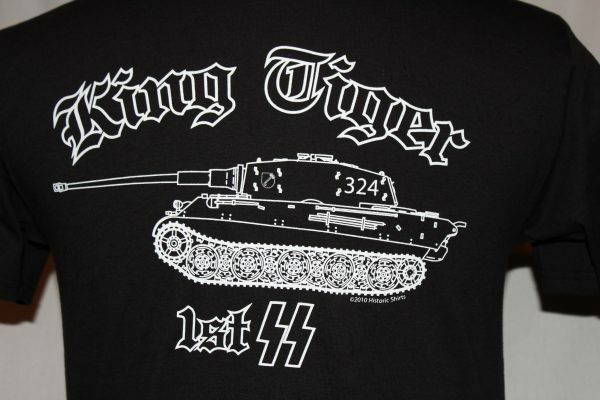 The 1st SS Leibstandarte King Tiger T-shirt is a two sided print in black. 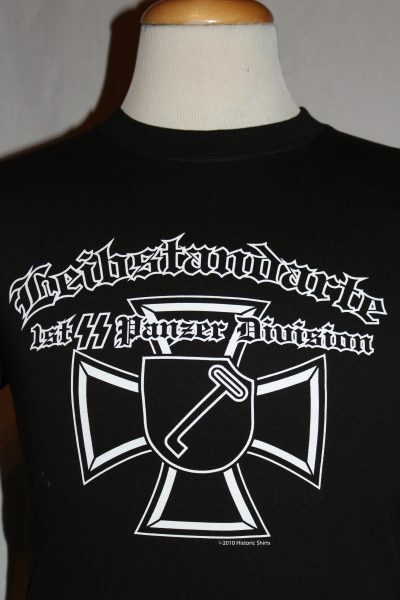 Front Design: 1st SS Panzer Division symbol superimposed over Iron Cross and text. Back Design: Side view of King Tiger Tank 324 and text. 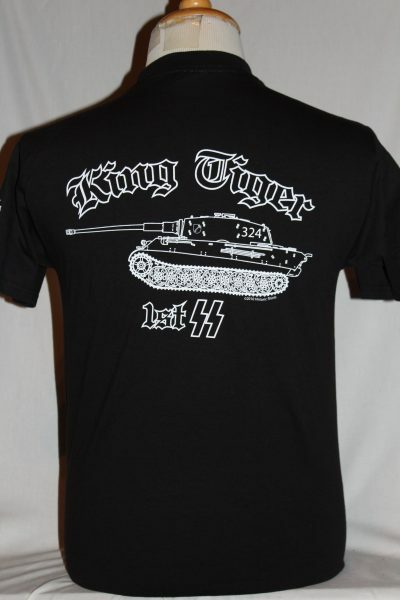 Left sleeve displays the 1st SS Panzer Division Symbol.